I’m Ross, Shelby’s new balloon guy. I’ve been twisting Balloon Animals for over 7 years! 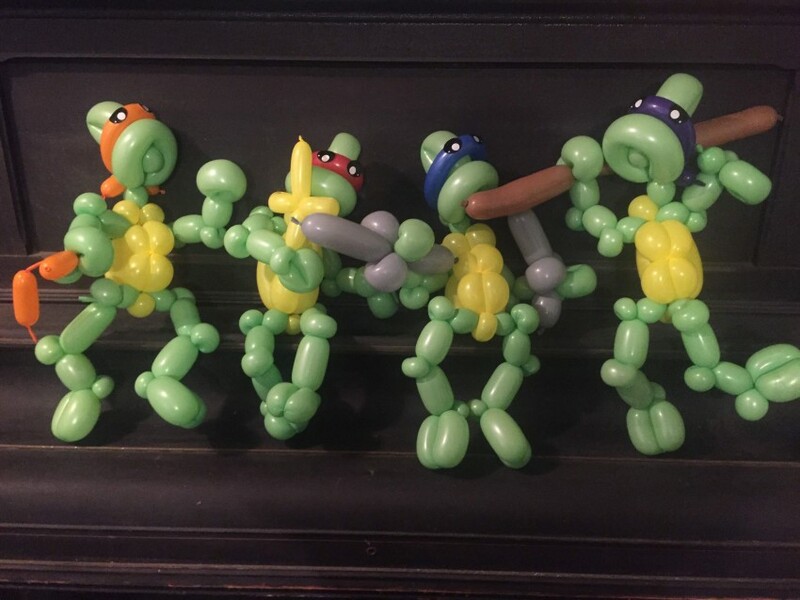 I’d love to help you out with some of your balloon/clown needs! My wife and I specialize in Balloons and Face Paint, and dabble in comedy and magic. Great for school festivals and events!!! Ross did an excellent job as entertainment for our PTA/School Winter festival! We had snow cones, games, a giant inflatable slide, and more - and yet Ross was the most popular attraction! He was on time, had a wonderful attitude for working with kids and families. We had nothing but positive feedback about Ross from students, teachers, and parents. He worked well for our needs. Do not hesitate to hire Ross for your next event. He does an A+ outstanding job! As was stated in our bio, our goal is to make every person feel special! I normally arrive with a specially large balloon creation for the birthday child and then make balloons by request for every person there. We also can lead games, teach a how-to-balloon-twist lesson, FacePaint, perform a show, and much much more! Hello! I'm Ross the Balloon Guy and my Wife Deborah is a professional FacePainter! We would love the opportunity to serve you! I have been twisting balloons for over seven years! We love children, we love fun! Our goal is to make every person feel special! We pride ourselves in not only our excellent work but also our outgoing-fun personalities! Thank you so much for the opportunity! We do not require anything special for lighting, staging or sound. Generally, bottled water is nice, and if you have hired us for face-painting, two chairs and a large cup of water are necessary for that! We will clean up after ourselves. But remember all of our twisting balloons are 100% latex (from trees), meaning they are biodegradable! Our FacePaint is easy to clean! Please let us know of any latex allergies or any other face-paint allergies! Thanks for trying to be prepped! As you know, we specialize in Balloon Twisting and FacePaint. My wife and I are personally in the ministry of evangelism. We use these skills in order to supplement our income for preaching. We have gone to school for ministry, and many of the same principles transfer over into our business. We have both performed for churches across our nation! We also have been greatly influenced in our business by Daniel Jolley (Buddy the Clown).